Are you feeling stuck in the same patterns? Overwhelmed with the never ending to-do list? Wanting to break the cycles of what is limiting you? Don’t know where to start? Perfect. This retreat is for you. If you have been feeling like you have plateaued in your personal growth or that you have been giving all of your energy away before you are able to give any to yourself, then this 3-day; 3-night retreat will be the catalyst you need to spark your growth and personal development while breaking the cycles of limitation. Here you will be given powerful tools to connect to your truth, to manage stress and manifest your highest desires. You will learn to recognize the stories you have be telling yourself and will create new ones that foster alignment, abundance and wellness. Through movement, yoga, meditation, breathwork, plant-based eats, wine, journalling and deep inner work, we will unlock the sources of stagnancy in your life and help you level up. You will leave this weekend feeling full of love, a renewed sense of purpose and connected to some other incredible people. Our retreats are not only incredibly transformational, they are #balancedaf and while we love to get deep into the trenches or our own “stuff,” we also love to enjoy a glass of red by the fire. If that isn’t balance then we don’t know what is. If this resonates with you, then get in touch stat to save your space. There are only 10 available and they will go fast. Email hello@thebalancedcollective.com to save your space. We will be staying in beautiful Gibsons BC on the Sunshine Coast at Ocean Beach Retreat from June 7-10th, 2019. 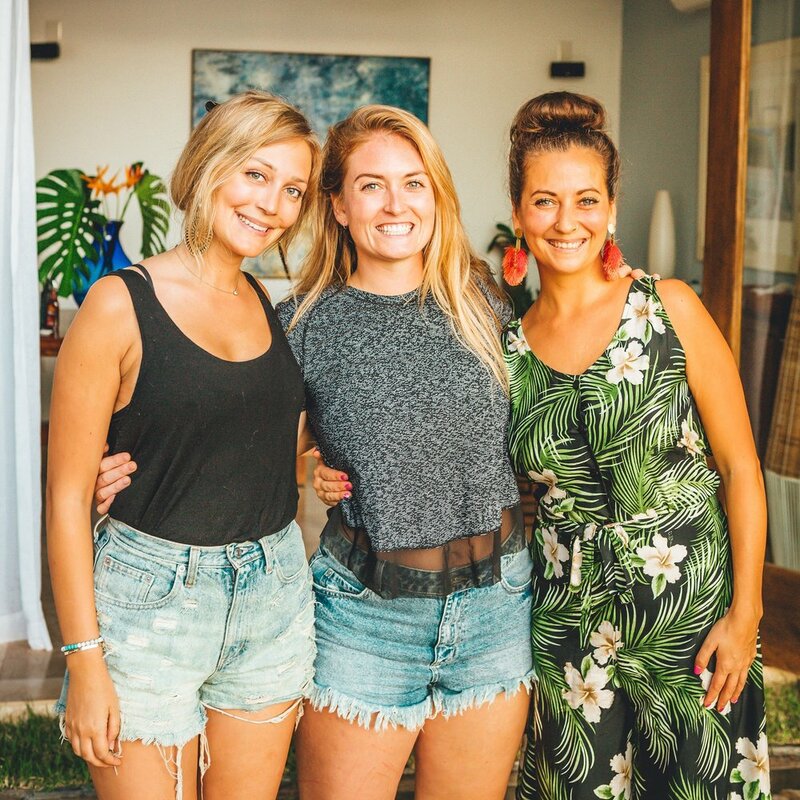 This retreat is a collaboration between Danielle Boyd of The Balanced Collective, Laura Murphy of Soulbody and Shawna Barker of Synergy Nutrition. You will get quality time with all three of these badass leaders during this intimate weekend. Danielle will be running morning workouts and one of her signature self-discovery workshops. Laura will be leading evening yoga, meditation and breathwork along with one of her signature soul healing workshops. Shawna will be keeping us well nourished with her menu of plant-based deliciousness and will be leading one of her unique chocolate chakra workshops. This retreat is all inclusive - your accommodation, meals and all workshops are included. You will be responsible for your own transport to Gibsons (we big-time suggest reserving your ferry!) and for bringing any alcohol you would like to bring. While this isn’t a party weekend, we do understand that this is a break for you and as such, beverages of your choice are more than welcome. Did we mention we are huge fans of vino? To hold your spot, a deposit of $300 will be required to hold your space. This deposit will go toward your total cost with the remainder of the cost due 30 days prior to the retreat start date. All payments are handled by Finisterra Travel (BC Reg 70260). All details, waivers and packing lists will be sent closer to the retreat start date. Registration deadline is May 5th, 2019. (Queen room solo options available on request). These prices are ALL-INCLUSIVE, meaning they include your accommodation, all meals and snacks as well as all the workshops and sessions we have on deck for you.